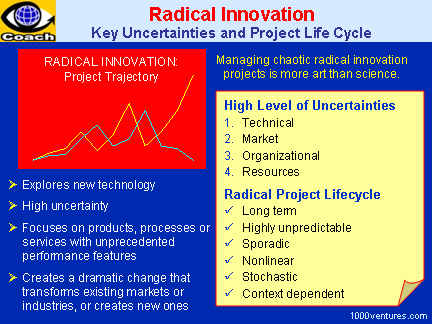 Managing chaotic radical innovation projects is more art than science. ❶ Innovations within the technology / market domains of existing business units – strengthen a firm's position with familiar markets. ❷ Innovations in the "white spaces" between a firm's existing businesses – serve markets that are new to the firm, but within the firm's current strategic context. 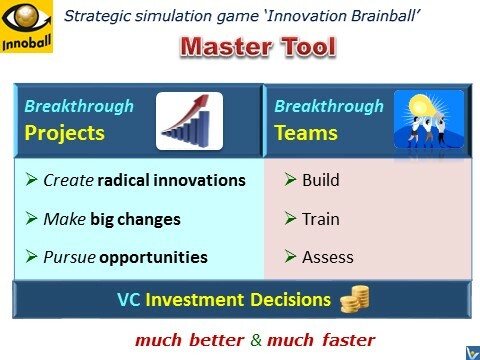 ❸ Innovations outside a firm's current strategic context – open new and entirely unfamiliar markets. → Create an atmosphere where people are confident that how far and fast they move is constrained only by the limits of their → entrepreneurial creativity and drive and by their standards of personal excellence..
Why Radical Project Management (RPM)? The → flexible approach overlaps phases rather than functions. The power in the flexible model is that the development process and tools are explicitly designed to support this overlap. Entrepreneurial Leadership: → Entrepreneurial leadership involves instilling the confidence to think, behave and act with → entrepreneurship in the interests of fully realizing the intended purpose of the organization to the beneficial growth of all stakeholders involved. Creative Leadership: Creative leaders have a clear view of future needs and opportunities. They also understand the current → problems and needs of the organization and find ways to include people in the vision. 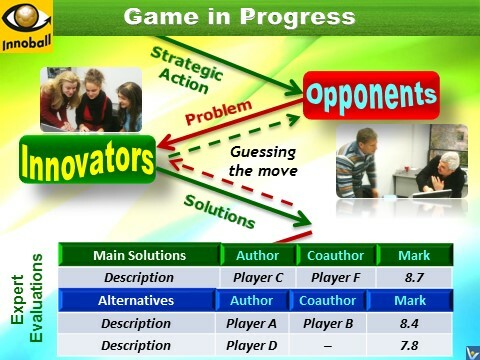 Innovation Football (Innoball) is a breakthrough strategic simulation game that helps innovators achieve great success in the real world.